The gym can feel like an intimidating place, and it can be easy to feel uncomfortable or like you don’t belong – but trust me – you DO belong. In this episode of the Balanced Black Girl podcast, we are talking about how to feel more confident working out in public. Let’s be honest, gyms and fitness studios are awkward. You’re in super close contact with a bunch of strangers…in semi-compromising positions…sweating. Plus, things can feel even more uncomfortable if you don’t see people who look like you, or who don’t have your body type. I totally understand. But it can (and will) get better. Whether you’re brand new to working out, are getting back in the swing of things after taking time off, or are a seasoned exerciser feeling a little iffy about trying out a new space, this episode is for you. We are sharing eight tangible tips for feeling confident working on your fitness in public. Because you totally belong, and your health matters just as much as anyone else’s. Lestraundra is the founder of Balanced Black Girl and the host of the Balanced Black Girl Podcast. She’s a Certified Personal Trainer, Nutrition Coach, and natural beauty junkie who loves 90’s R&B, trying new skincare products, and creating recipes in the Instant Pot. She created Balanced Black Girl to provide content and experiences empowering women of color to live well. Hi, I’m Les! 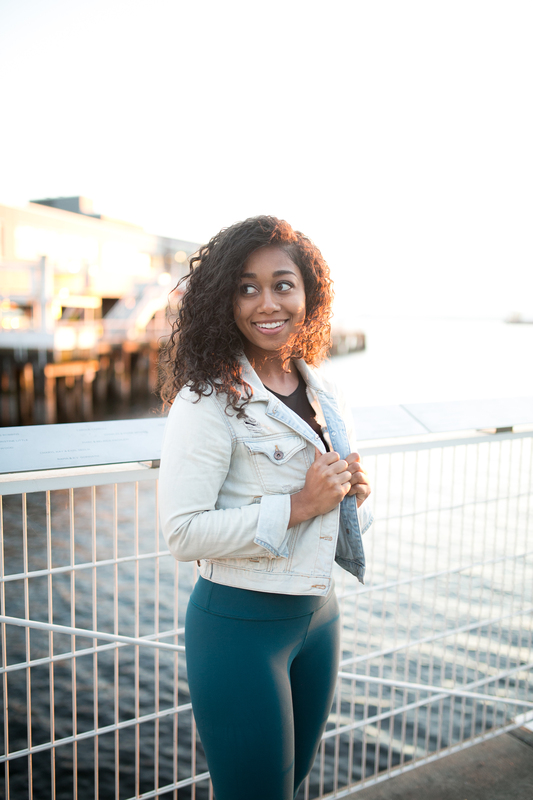 I’m the fitness-loving founder of Balanced Black Girl, a podcast and supportive wellness community for women of color. Sign up for our newsletter and get diverse self-care tips in your inbox.